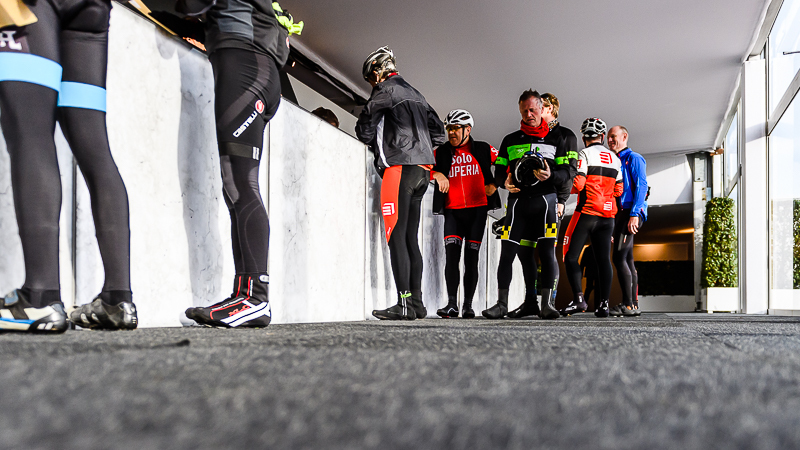 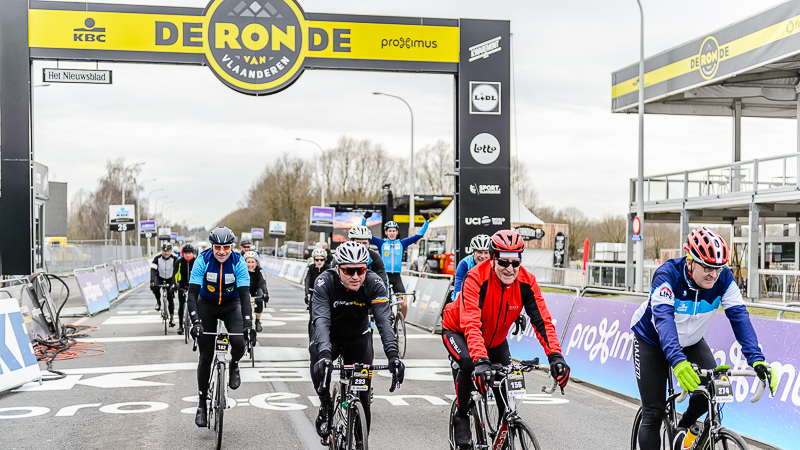 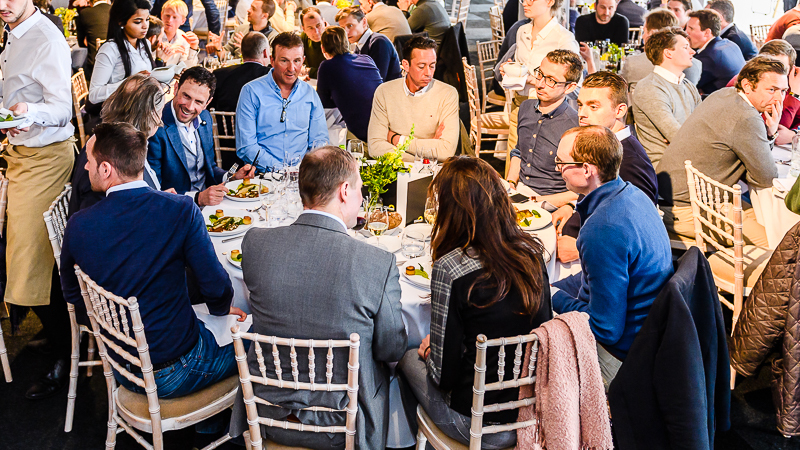 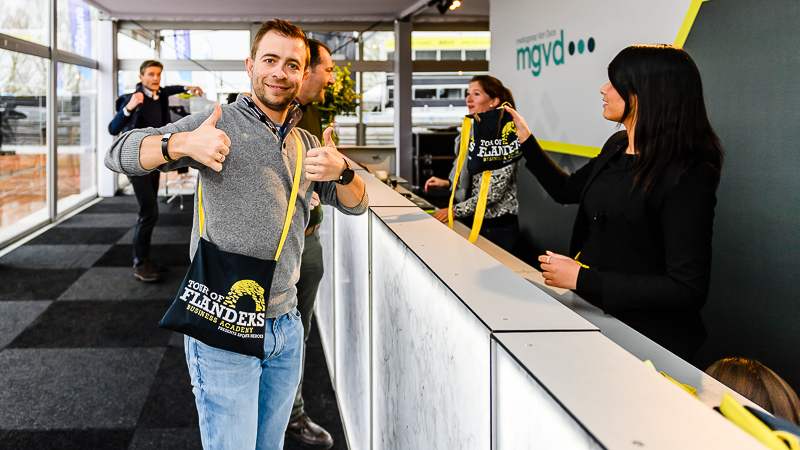 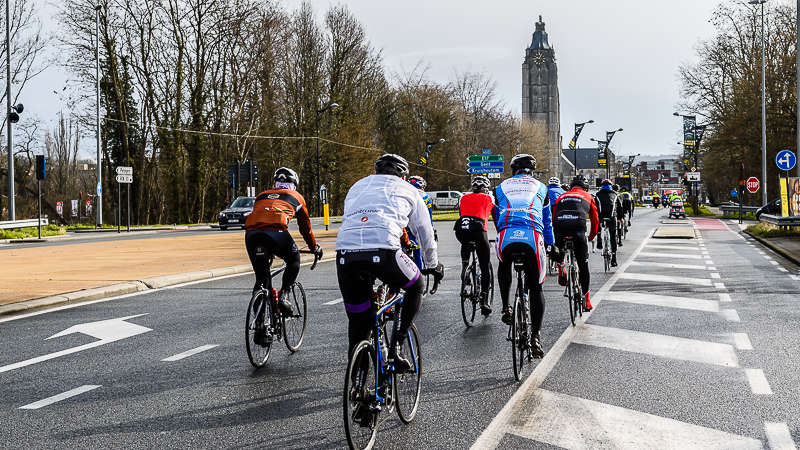 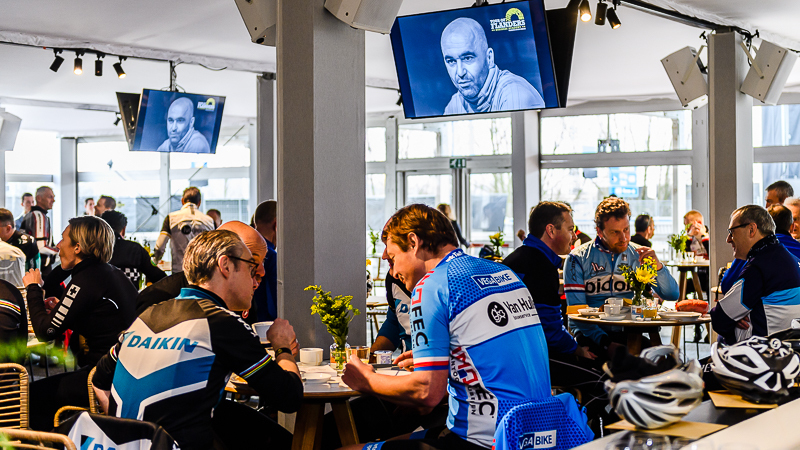 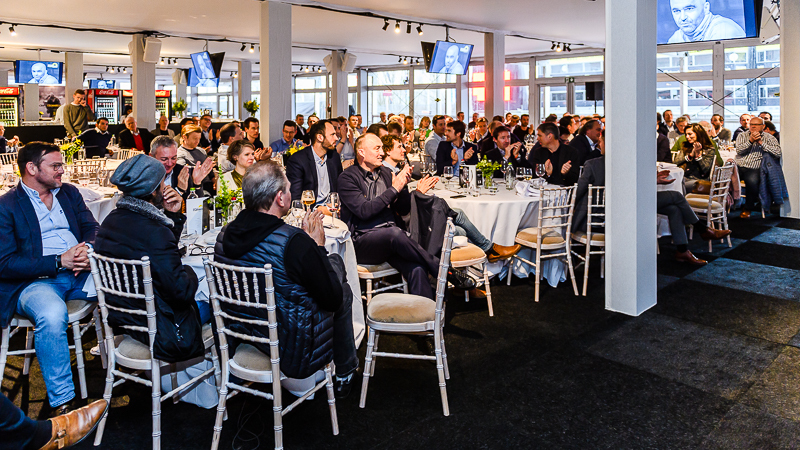 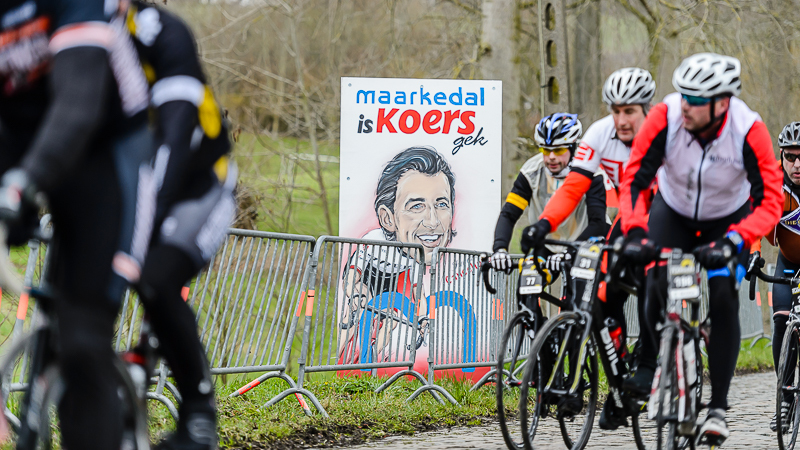 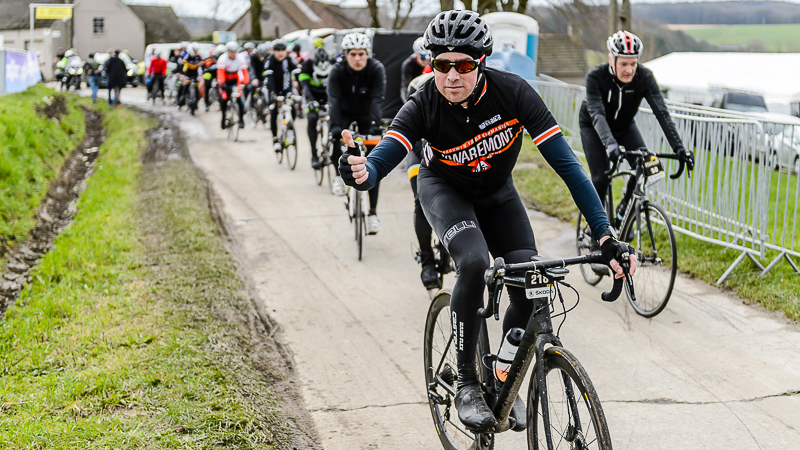 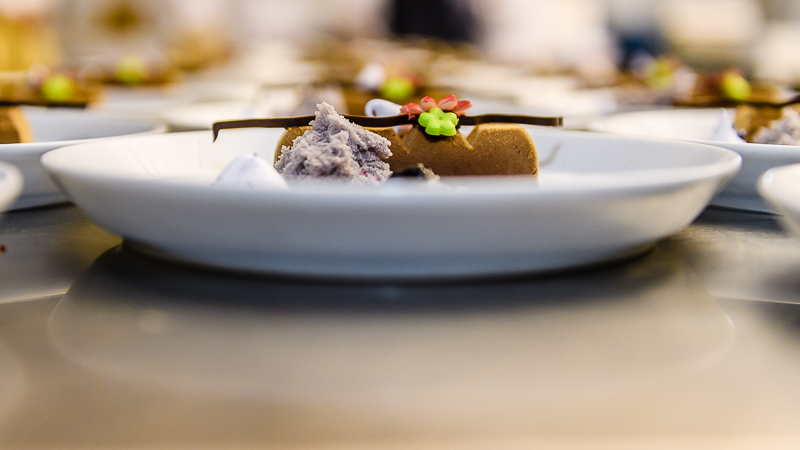 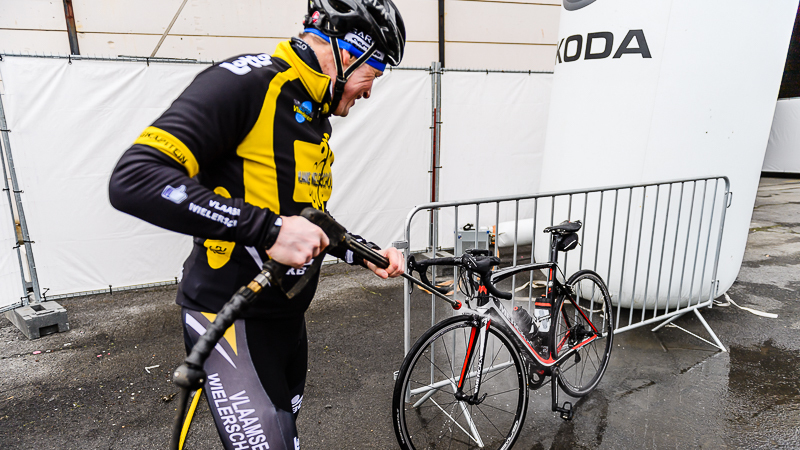 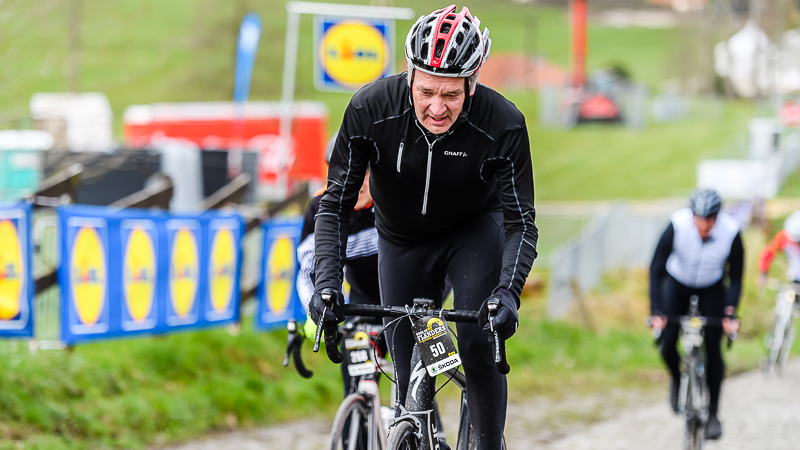 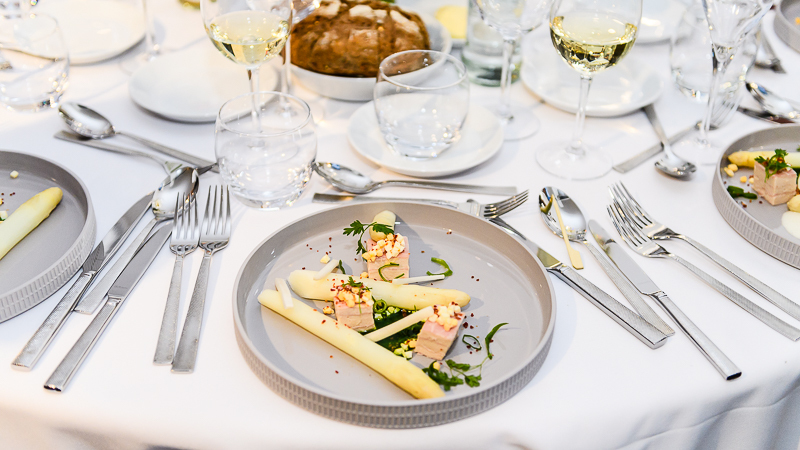 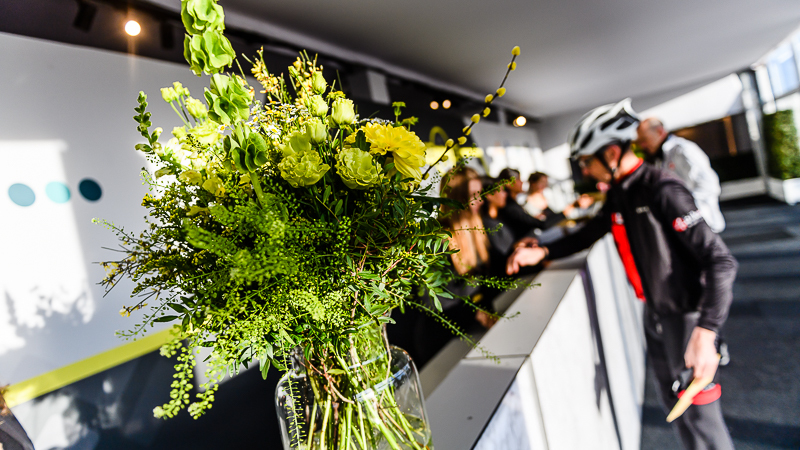 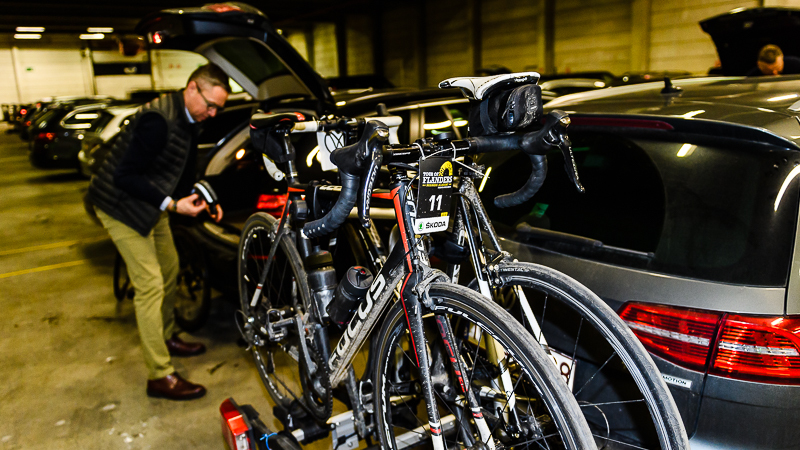 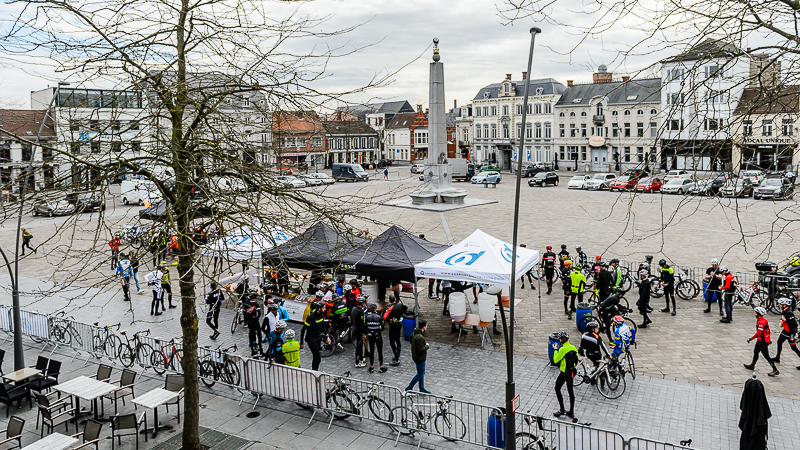 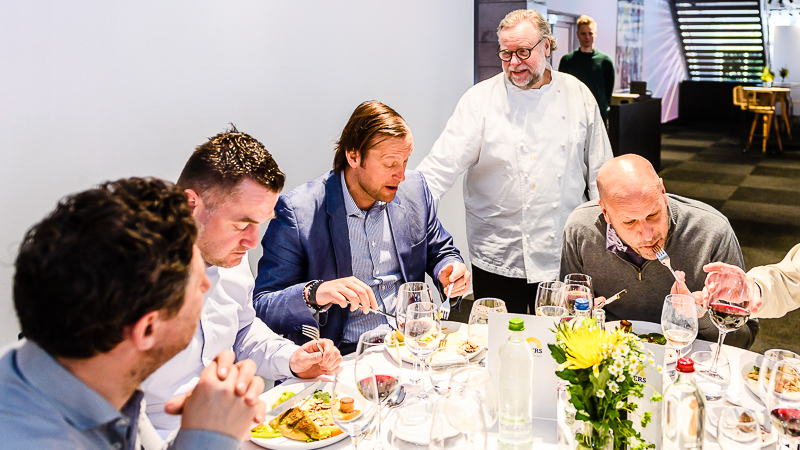 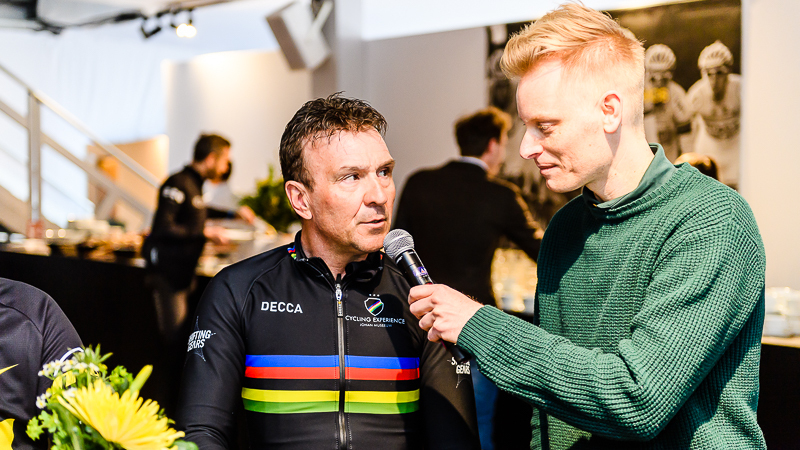 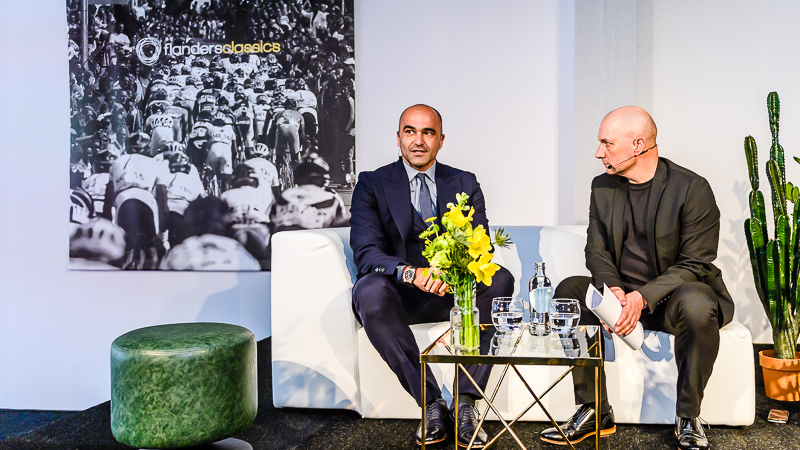 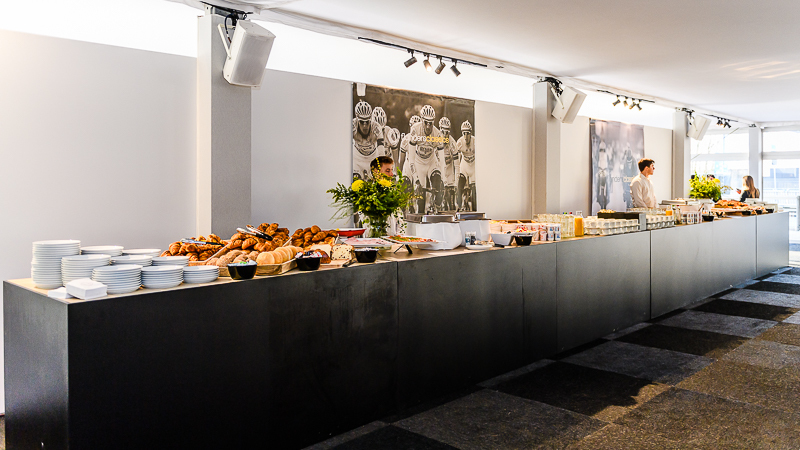 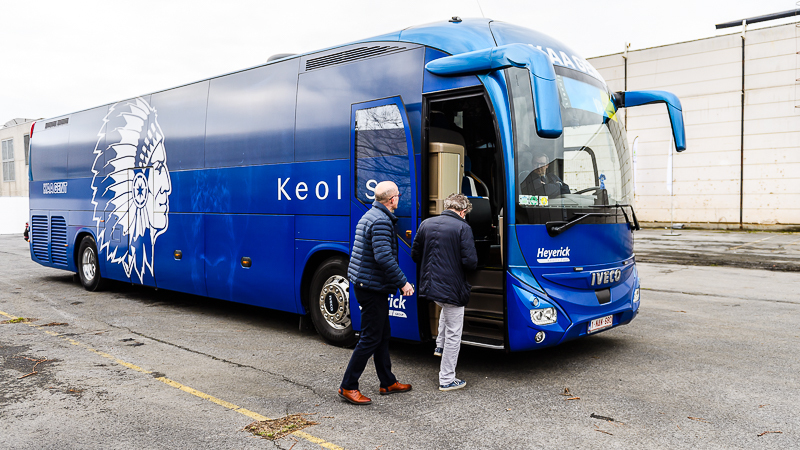 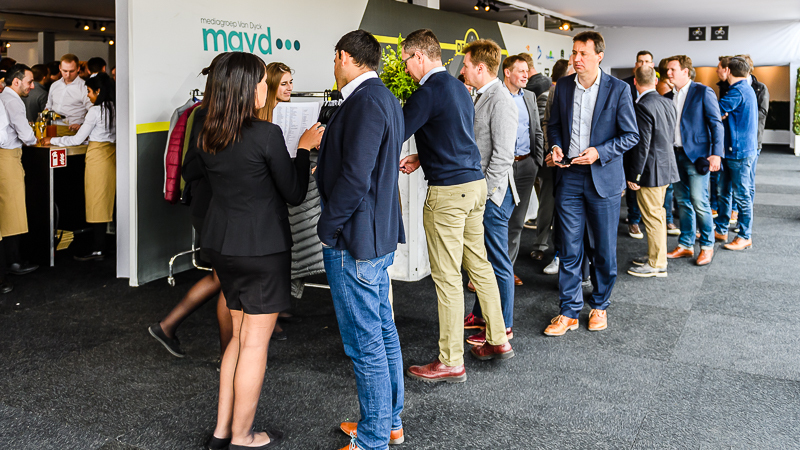 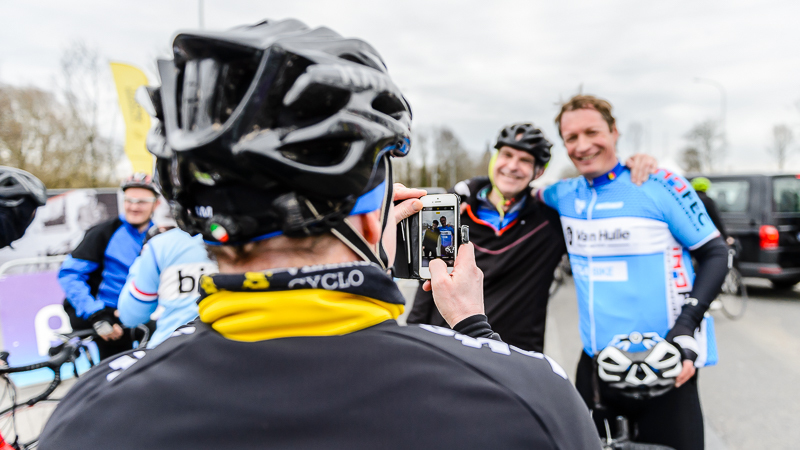 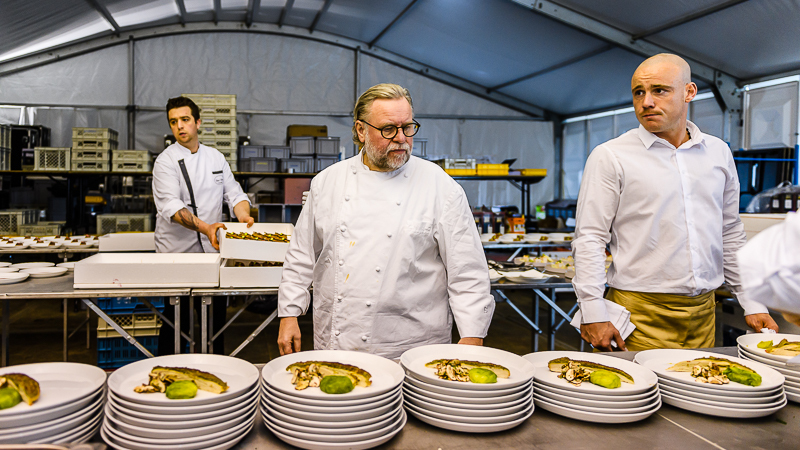 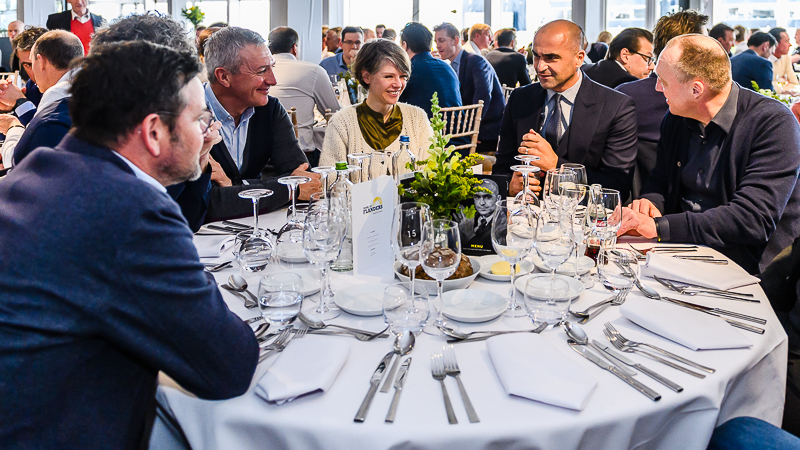 The 'Tour of Flanders Business Pelotons' is a unique event where business, networking and cycling come together in an extraordinary experience. 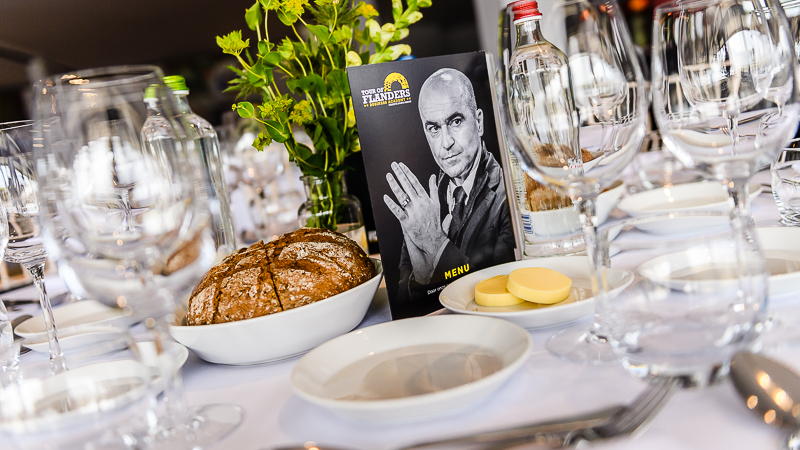 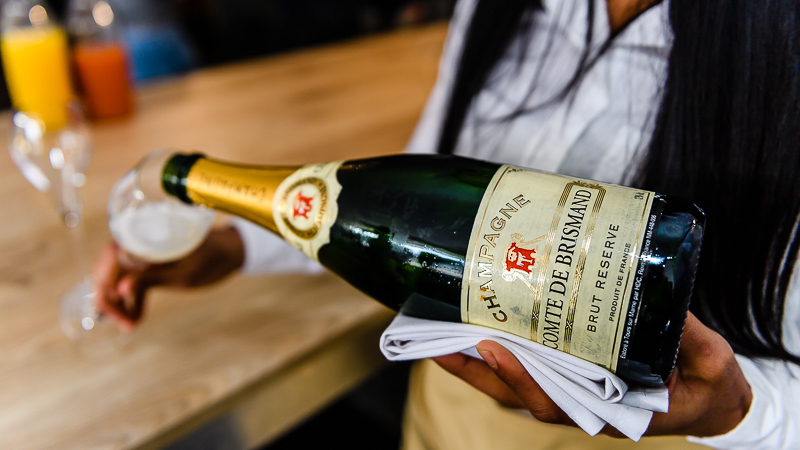 On Friday 5 April we offer an unforgettable experience that will challenge all your senses in a physical and intellectual way. 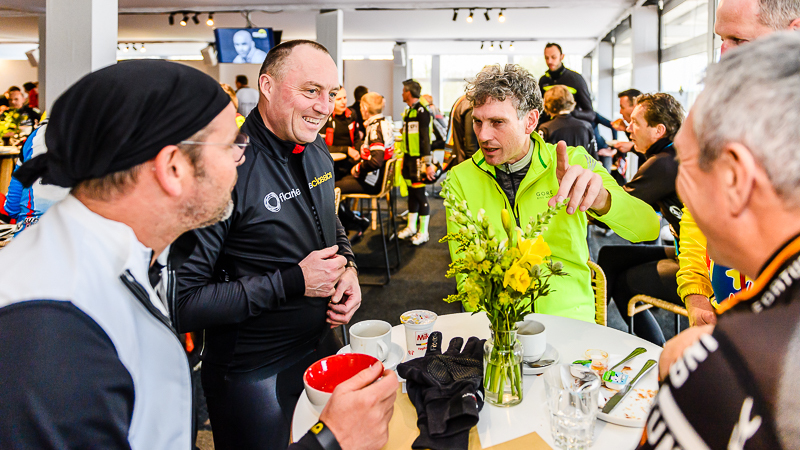 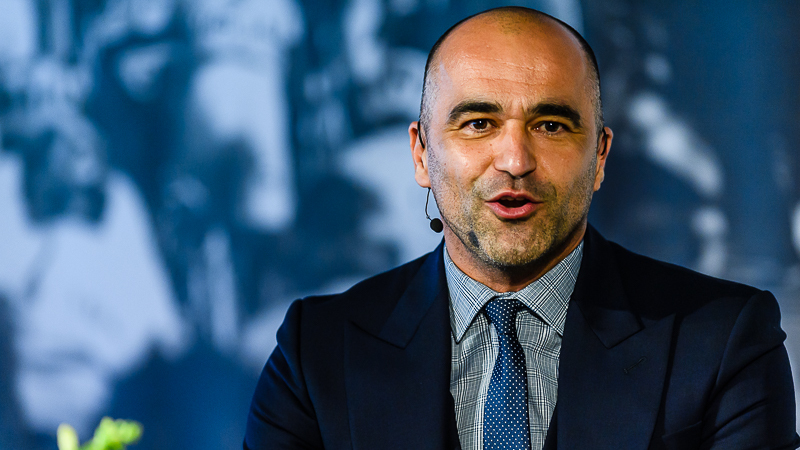 Sportsmanship, drive and knowledge aren't just values to us, but will be experienced lively. 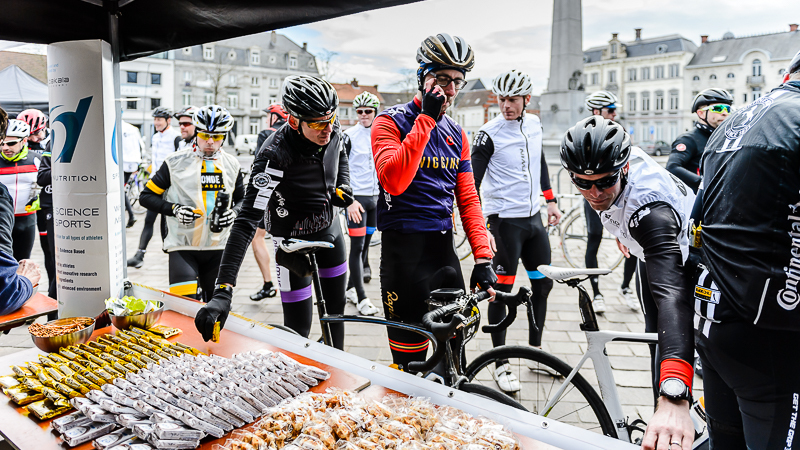 The 'Tour of Flanders Business Pelotons' gives you the opportunity to face the same finale as the Tour of Flanders (70 or 100 km), to meet other sporting businessmen and managers, to offer your guests a unique experience, to be spoiled in a culinary fashion and to attend to a presentation of our keynote speaker Chris Cowart (Singularity University), an innovation expert and futurist whose love for the bike is indisputable. 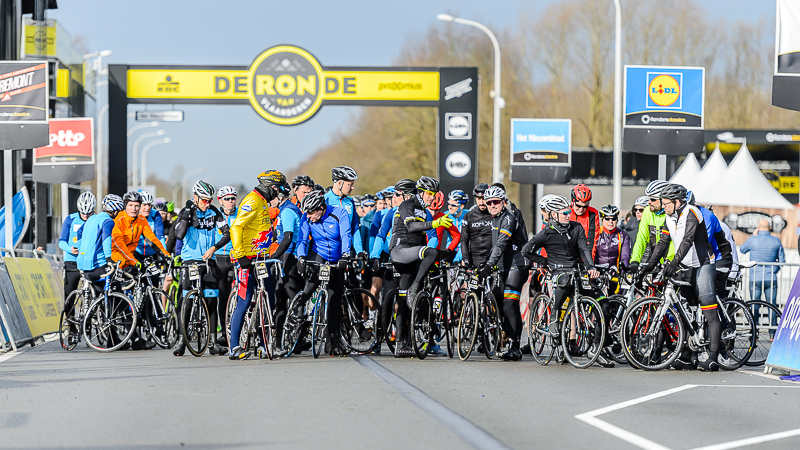 This year we offer the possibility to choose between two distances: 70 or 100 km. 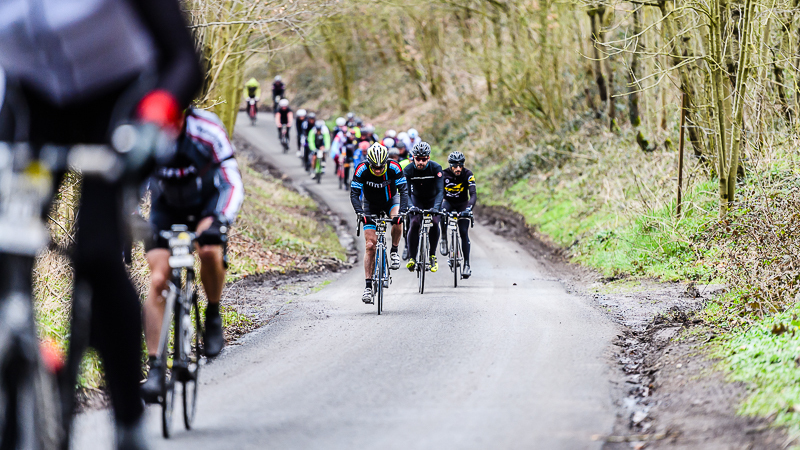 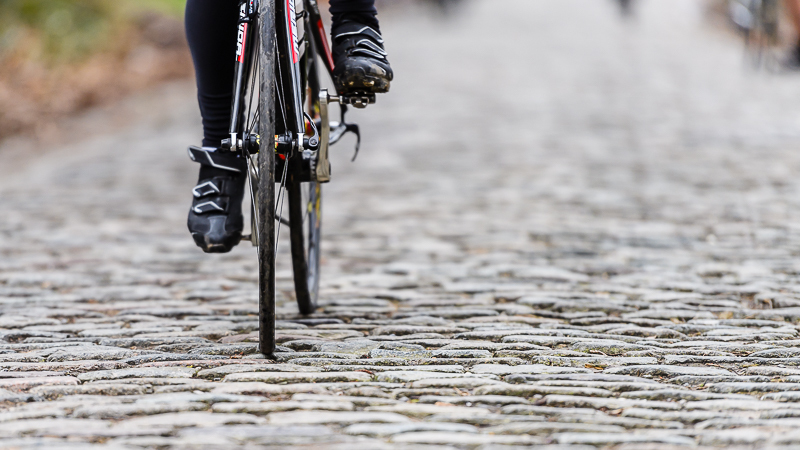 The 100 km will guide you over hills and cobbled sections that the professionals will have to face on Sunday. 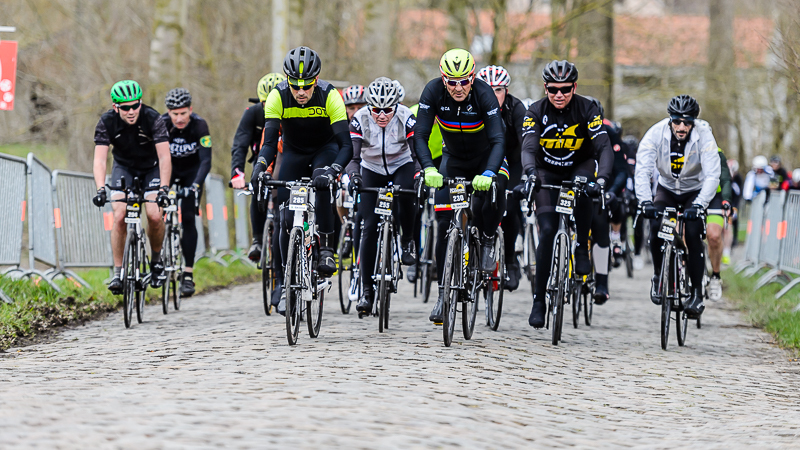 The 70 km will avoid some of the cobble stones and climbs but is sufficiently challenging as well. 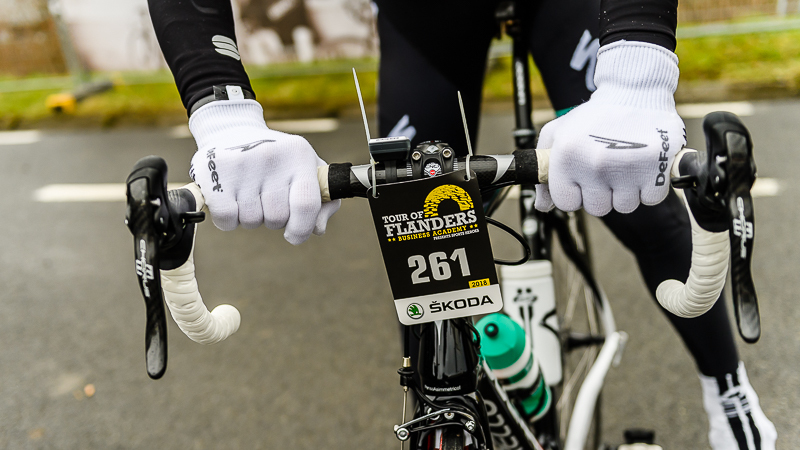 After the race you will be a Flandrien for the rest of your life, whatever distance you may choose. 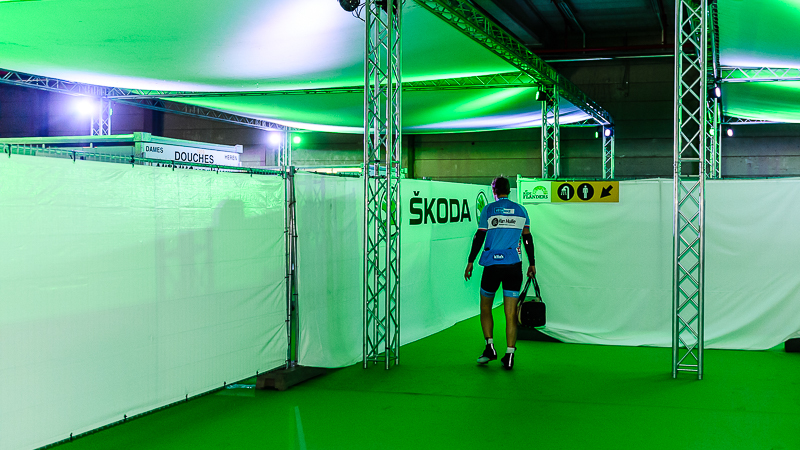 We'll ride in accompanied pelotons in terms of safety and speed. 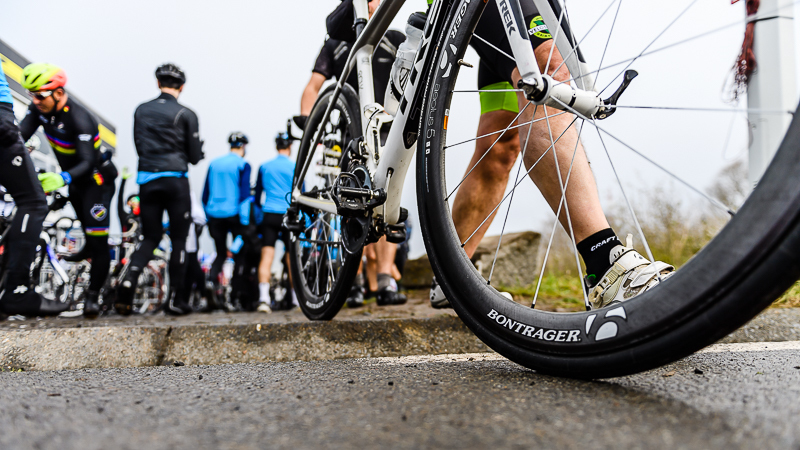 On site you can choose the pelotons that suits your ambitions and capabilities. 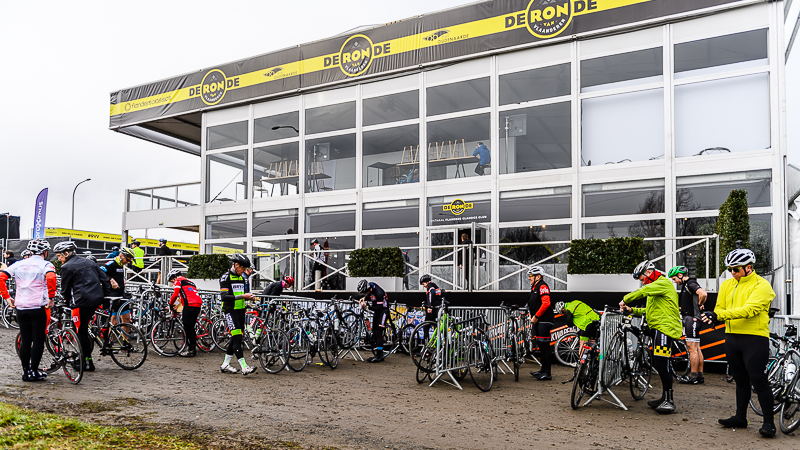 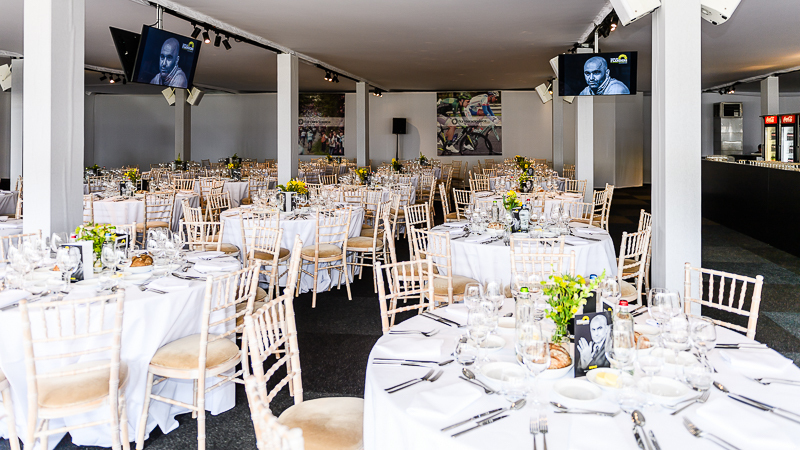 Of course we will take care of all the necessary comfort during the guided and secured Business Pelotons; such as a perfectly designed course, guidance of experienced motorcycle drivers, extensive supplies, technical support en route, traffic signallers on track, etc. 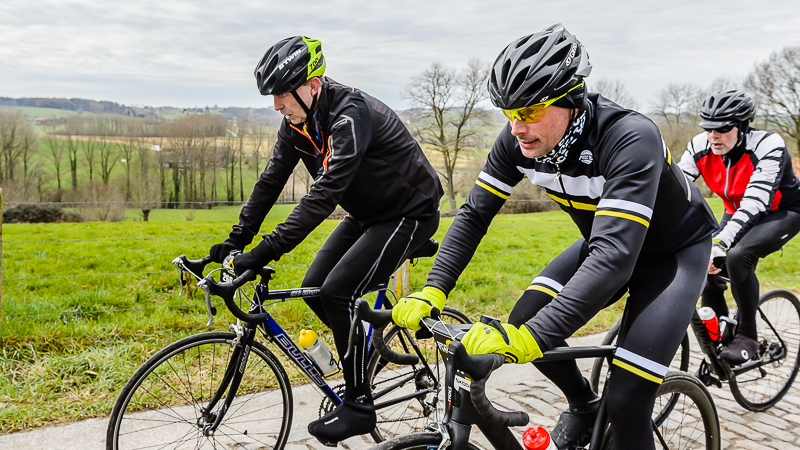 That way you can enjoy your bike ride to the fullest, and, if you're not too tired, network along the way. 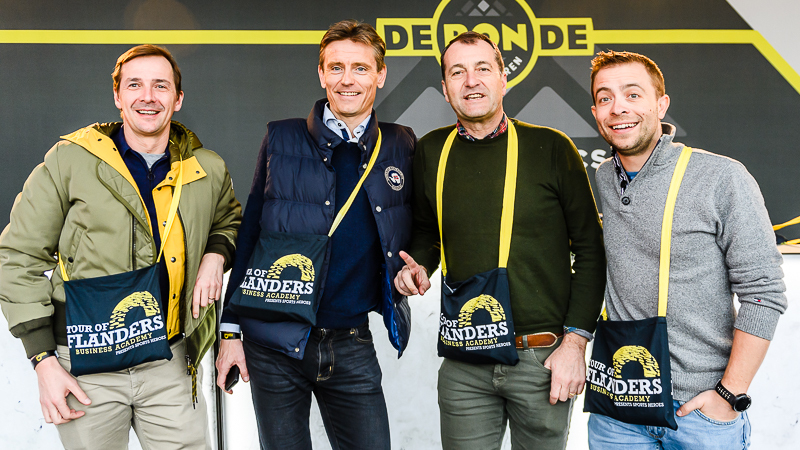 Some former champions with of a high Flandrien calibre will accompany or guide the Business Pelotons. 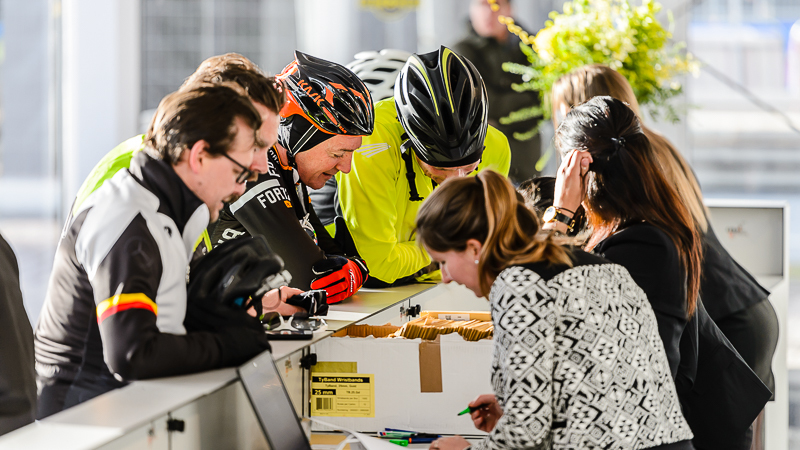 By signing up you automatically agree with the general terms and conditions. 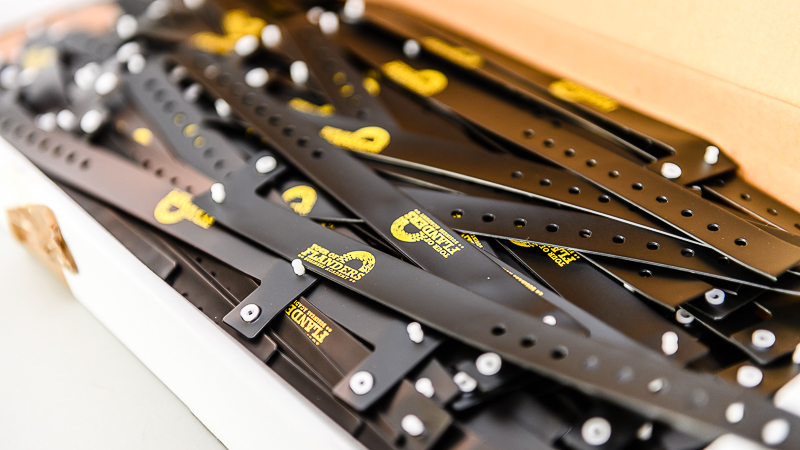 The English website will be launched tonight!